You could choose to work with one of the many local flower shops or you can work with a company that goes above and beyond for weddings in terms of design. Events in Bloom is a wedding, floral and event styling company so they will not just provide you with beautiful flowers but they will collaborate with you to make sure they fit into the décor and the style of the event perfectly. They will consider all of the details and decoration to make your day and the flowers that surround you magical. 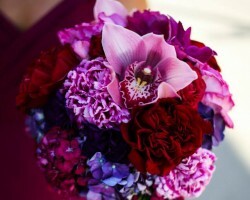 Flowers for Special Occasions offers the most beautiful wedding flowers you can imagine. As a floral design company, this family owned and operated Omaha florist offers personal care that allows you to really discuss the vision you have for the flowers. The designers will listen to what you want and also take your budget into account before presenting you with options. 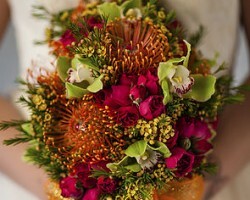 You will be in total control of the final decisions and the actual flowers that are used for your big day. Our Floral Affair is a company that believes their flowers or any blooms can make an occasion or event even more special. This is why many couples in Nebraska seek out their creative designs for their wedding day. The designers will consider your color scheme as well as your personal style and the style of the wedding to come up with unique corsages and décor that will accent the day perfectly. 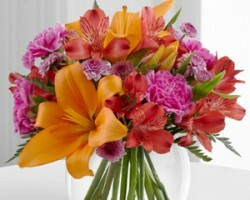 All of the flowers will be delivered fresh and will always come in the most vibrant colors. Terryl’s Flower Garden offers everything from wedding arrangements to flower delivery in Omaha. Not only is this company there to meet your floral needs for any holiday or special occasion, but they do so at some of the most affordable prices in the business. You can order a standard bouquet that matches your color scheme or you can work with the company to come up with a unique bouquet. In either case, you can expect the freshest and most fragrant flowers according to the countless positive reviews. Working with the friendly, local professionals at Tiffany’s Flower Boutique will make choosing the arrangements and designs to celebrate your wedding day completely personalized and enjoyable. This family owned florists in Omaha, NE that maintains the highest standards of customer care and quality of flowers. 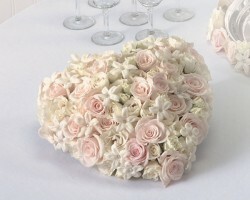 This combination is perfect when you are looking to make a large custom order for your wedding day décor and bouquet. 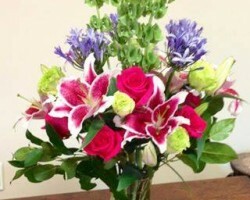 This company can even guarantee that your flowers will be delivered promptly at the specified location and time.